CIEC carry out out research and evaluation into the impact of its resources and programmes, to ensure that they are improved to meet the changing needs of schools and companies. The CIEC team contribute articles to industrial and educational publications to ensure that key messages regarding industry-education liaison reaches as wide an audience as possible. CIEC research enhances the evidence base about good practice in building links between education and industry. Our latest report represents the data from pupils and teachers from 2016-2017.The infographics below shows highlights from this research. If you are interested in the questionnaires as were used for the data collection for 2016-2017, please look here. This report represents four years’ worth of data from pupils and teachers collected between 2012-2016. The infographics highlights data gathered from this research and shows the CCI programme has had positive results in improving children's attitudes towards science. Science and engineering are crucial to life in the 21st century, and key to solving many of the world’s major challenges. However, there is a shortage of scientists and engineers across the European Union, with 43% of manufacturing employers reporting difficulties in recruiting an appropriately skilled workforce. This paper was written by CIEC's Director, Joy Parvin, in collaboration with the European Petrochemical Association (EPCA). It addresses this skills shortage by describing effective ways in which industry and policy makers can work more with young people. The paper was launched at EPCA's Annual Conference in Berlin, 5-7 October 2015. 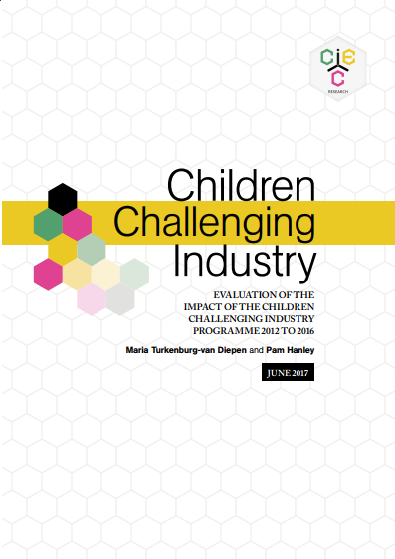 The most recent analysis of the Children Challenging Industry programme was published in 2011. 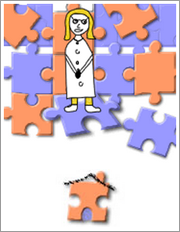 It reports on the views of science and industry, held by many primary teachers and 9-11 year old children., the relationship between the two, and the impact of the CCI intervention on these views. Click here for the Executive Summary of this report. The three-year pilot of the CCI programme took place 1996-1999. This in-depth analysis provides a rich description of the programme, along with details of changes to teachers’ and children’s views of science and industry as a result of being involved in the programme. Data was collected from teachers and children who had participated in the CCI programme 5 years previously. This report presents an analysis of the longer term impact of the programme on these teachers and children. The children were aged 14-17 years at the time of this study. were gathered and analysed during the first 10 years of the Children Challenging Industry programme. 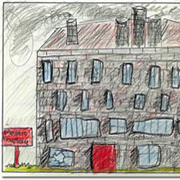 This is a sample of the many pre- and post-intervention drawings children produced of industry and the people who worked there. We had the opportunity to collect data during 2003-4 when 10-11 year old children in the UK used to take science tests (SATs). This short report summarises our findings in terms of the impact on the CCI programme on these test results. 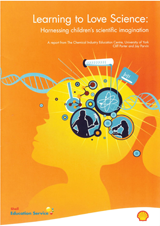 CIEC were commissioned by Shell Education Service to produce this report which explores school pupils’ attitudes to science to establish why many disengage with the subject and what can be done to reverse this trend. It examines when and why pupils “switch off” from science and the extent to which the UK is missing out on a potential pool of scientists as a result. 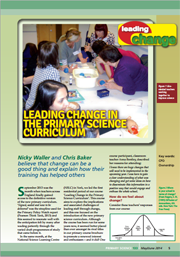 This article appeared on pages 5-7 of the journal Primary Science in May 2014. This particular issue has been made freely available by the Association for Science Education (ASE). For more information on the ASE, and content of their extensive archive of journals, plus CPD opportunities, please visit www.ase.org.uk. This article appeared in March 2014’s edition of Chemical News, the journal of the Indian Chemical Council. Parvin offers an insight in to the rationale, activities and impact of this programme, and how it increases the aspirations of school children to become the scientists and engineers of tomorrow.